Device Interference – Alcotests are meant to provide accurate results regarding the BAC of a subject, but there are many ways in which results can be inaccurate. that an individual take deep breaths in order to reach his or her lung’s alveolar air. Shallow breathing that does not provide proper alveolar air, alcohol or other contents in the subject’s mouth, medications, and various medical conditions can make the BAC reading higher than in reality. Improper Police Observations – Alcotest results may be thrown out of New Jersey courts if they are shown to violate guidelines. However, police have another option. 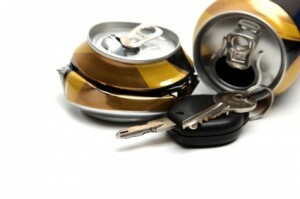 Their observations of the defendant when he or she was arrested for drunk driving can be admitted as evidence. This includes the smell of alcohol, slurred speech, swaying, appearance, driving performance, and the results of field sobriety tests. However, you will need the help of a skilled attorney to find success in fighting back against the word of police officers. A DWI conviction carries serious consequences in New Jersey that can interfere with all aspects of your life. If you are facing DWI charges in New Jersey, do not hesitate to call the drunk driving defense attorneys Lubiner, Schmidt & Palumbo, LLC at (844) 288-7978 to fight on your behalf.